The Constantine TV show is coming back — sort of. NBC cancelled the live-action supernatural TV series after one short season back in 2015. Though Constantine had low ratings, the series did have lots of devoted fans that have been clamoring for its return. The show’s lead character, John Constantine (Matt Ryan), popped on an episode of Arrow in November 2015. Ryan also plays the character in an upcoming animated movie called Justice League Dark. The latter is slated to be released digitally on January 24th and on DVD and Blu-ray on February 7th of this year. Now comes word that there’s even more of John Constantine on the way. At the Television Critics Association’s winter press tour, it was announced that The CW’s digital outlet, CW Seed, is producing an animated Constantine series. The first season will consist of five or six 10 minute segments which will debut during the 2017-18 season. Ryan will once again return to voice the title character. David S. Goyer, who adapted the Constantine character from the DC Comics material with Daniel Cerone, will be an executive producer on the animated series — along with Greg Berlanti and Sarah Schechter. Will there be another live-action crossover? CW president Mark Pedowitz said there are no plans right now but he’d love to have Ryan back on the network in the future. The 13 episodes of season one are already available on CW Seed. What do you think? 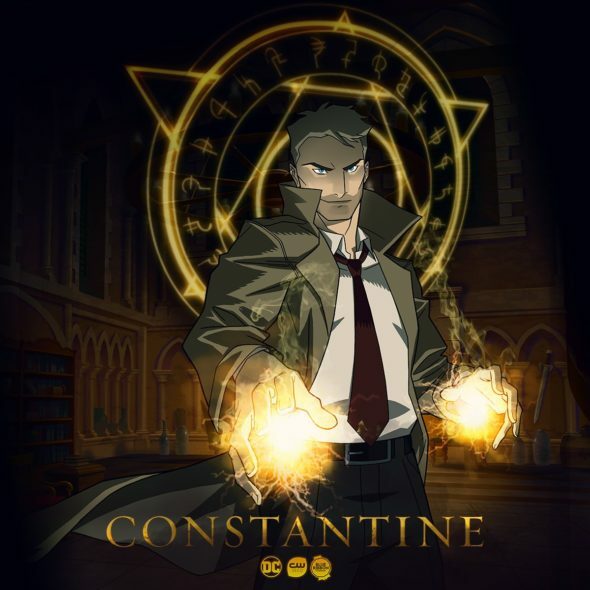 Are you looking forward to watching the animated Constantine series? Would you like to see Ryan make another appearance on one of the live-action CW superhero shows? More about: Constantine, Constantine: canceled or renewed?, CW Seed TV shows: canceled or renewed?, The CW TV shows: canceled or renewed? Constantine animated??? Seriously!!!???? Loved the show, but won’t watch it animated! I want real people. Bring the show back, but with humans not cartoon! Ridiculous!! Dying for Season 2 of real action. i love batman animated series, but this show too good to be animated. Also, from that shot it looks like a crappy justice league / kiddy time artist. Lame.